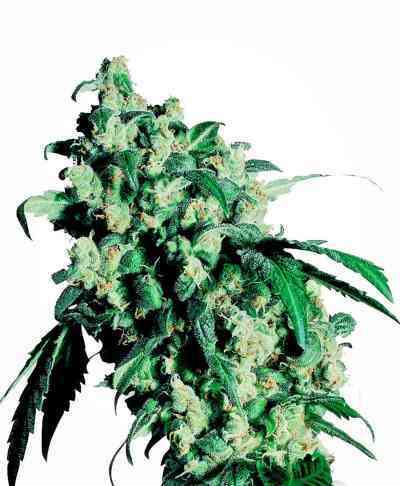 Since Neville brought the NL5, Haze and Skunk into being as stable hybrids in the late 80s and offered them as seed, these strains all became well known and loved by their growers in all parts of the globe. Most all strains that are offered in various other Seed companies use these 3 strains to make up their own named strains...and understandably so! Since this hybrid only contains 25% Haze it will be a practical Haze plant to grow in all types of grows. Its pedigree is made up of only winners and can be traced back to the beginning of the Cannabis revolution in breeding. Expect it to go for between 56-70 days in an indoor grow setup. In the northern hemisphere it would be expected to finish in October. In the southern hemisphere it would be expected to be finished late March. One of the all time classic hybrids that expect to yield at least 500 grams per square meter and possible a lot more depending upon you technique of growing. Giving it the name NHS-national health service implies it is able to treat the sick to a healthy state of mind and body...if you never tried it give it a go, you will understand my words better once it is in your possession!